When my family first arrived in the U.S. from Cuba we had very little that we could call our own. Not only did we rent a small apartment, but whatever furniture we had in our house we either begged, borrowed or stole (the last one metaphorically speaking, of course). In fact, if you sat in the living room of our home, and all the doors to the rooms were wide open, you would be able to see into the two tiny bedrooms, the kitchen and the bathroom. I shared a bedroom with my older brother. It was all we could do to walk around the bed without bumping into each other or the bed itself, the only furniture in the room. Needless to say, we didn’t own a car. And, then there was the laundromat. Because we didn’t own a washing machine or dryer – and even if we did there was no room to put them in our apartment – we took a weekly family trip to the laundromat. 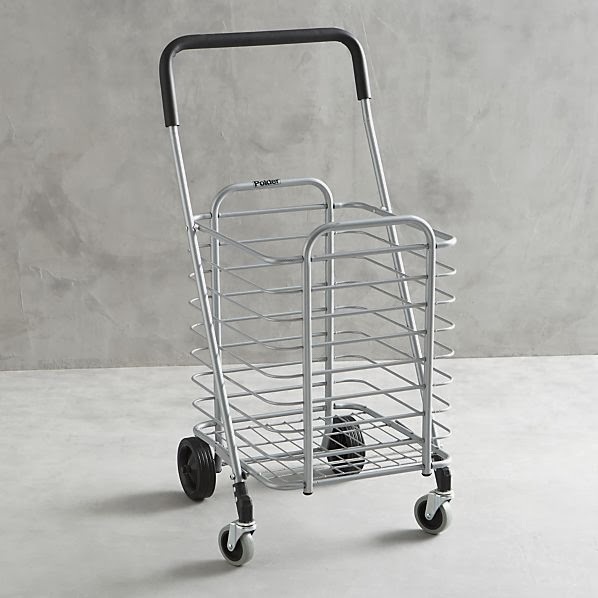 We did own a shopping cart that did double duty for hauling groceries and laundry with equal ease. I don’t remember my brother ever accompanying us on these trips. In fact, my brother was pretty much absent for most of my growing up years. 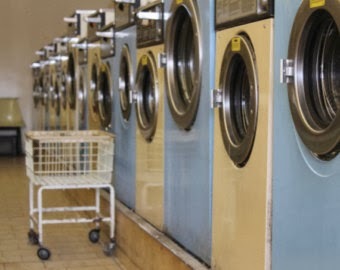 After we arrived at the laundromat, we would sort clothes into several washing machines but not before my mother cleaned them out carefully to rid the insides of invisible, but deadly germs. Then, the wait. Twice, first for the clothes to wash and then to dry. I don’t remember how I passed the time away but it’s very likely that I read while I waited. Finally, we would fold the clothes, put them neatly in the shopping cart – my mother wouldn’t have it any other way – and head back home. I don’t have many vivid childhood memories and this one had been deeply buried until it resurfaced at an NCTE annual meeting session entitled, Writing Workshop is for all Students: Using Visuals, Oral Language, and Digital Tools to Maximize Success and Independence for English Language Learners. It was at this session where I ran into Stacey Shubitz and all the memories came flooding back. Presenters Maria Paula Ghiso and Patricia Martinez-Alvarez, both from Teachers College, Columbia University, were describing how by putting cameras in the hands of young children and asking them to take photographs of their families and neighborhood revealed a great deal about the children and their families. At that moment, I saw myself as a little girl again, making that weekly trek to the laundromat. I wish one of my teachers had valued me then in the way that these teachers are valuing the lives of their young students: rich with family experiences that don’t often get to be seen in schools. Thanks to Stacey for encouraging me to write about this. It feels unfinished but that’s how it needs to be for now.